Readers of “Farewell to Apostate America,” my four part series advocating for an Article V Convention (among other avenues to restoration of the written Constitution) can imagine my interest in seeing Mark Levin’s just released book, The Liberty Amendments: Restoring the American Republic (Threshold Editions, Simon & Schuster, 2013). Currently it is number one on the New York Times best seller list. Levin’s book is a helpful departure from the insanity of placing our hopes in biennial Federal elections and expecting a fundamentally different result. None of the elections billed as transformational, like the “revolution of 1994,” or the Tea Party election of 2010, have even begun to turn the country away from its headlong rush to ruination. I think the term “radical” applies laudably to Mr. Levin insofar as he advocates the Convention method of amending the Constitution. This option has remained in its scabbard for two and a quarter centuries. To unsheathe it now would undercut the longstanding monopoly of the political class in controlling the direction of the nation. Thusly to assert populist power would indeed be a radical, fundamental change in the only kind of government that most living Americans have ever known, namely a plutocratic oligarchy that manipulates elections, meanwhile governing for the few and for the very few. From the standpoint of “We the People,” the Convention is a praiseworthy feature of the Constitution, in that it affords us a process somewhat akin to a national referendum, though not quite a Federal level plebiscite. In bequeathing to us the Article V Convention, the Framers of the U.S. Constitution empowered the people to take radical steps if and when the Federal system should depart radically from the sort of government and society they envisioned. 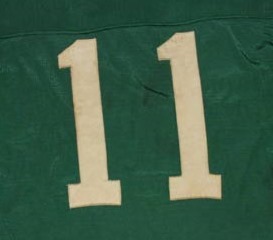 Today the necessity is very much upon us. Our radical problems require radical solutions. 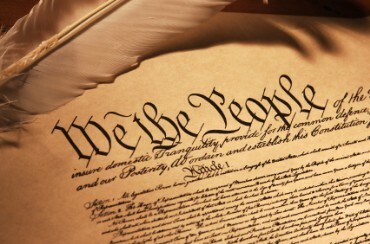 I undertook this project not because I believed the Constitution, as originally structured, is outdated and outmoded, thereby requiring modernization through amendments, but because of the opposite – that is, the necessity and urgency of restoring constitutional republicanism and preserving the civil society from growing authority of a federal Leviathan. Alas, the nation’s problems are greatly compounded by a cultural free-fall into moral decadence. Even if Mr. Levin’s eleven proposed “liberty amendments” were sufficiently radical to address the fundamental political disaster in Washington, D.C. (for which they are too mild, in my view), his Article V Convention agenda ignores the cultural cesspool which is hedonistic America. 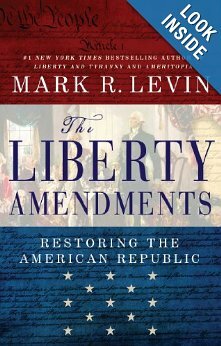 In other words, if Mr. Levin is really for “Restoring the American Republic,” as per his book title, then we need to restore a particular kind of republic. Genuine restoration requires a republic friendly to Judeo-Christian values, as was the case from the outset of the American experiment until 1962-63, when SCOTUS issued its iron decrees forbidding prayer and reverent Bible reading in the curricula and classrooms of all 15,000 public school districts. As someone has put it, if we want God to bless America, then America needs once again to bless God. As the nation’s founding document expresses the principle, we need to restore the republic by “appealing to the Supreme Judge of the World for the rectitude of our intentions,” whereupon we must proceed to reform the republic “with a firm reliance on the protection of Divine Providence” (Declaration of Independence). In other words we need to seek his protection and solicit his blessing, lest the miraculous intervention that is now necessary to retrieve America the Beautiful shall never be forthcoming, and lest our rescue operation fail. Whereupon the USA will become just another republic littering the trash heap of history. To effect such a rescue, Mr. Levin points to the activism of the Supreme Court, where he would impose some sort of check on legislation from the bench. But does Levin really suppose that all the damage wreaked over the past half century by that “battering ram of the cultural revolution” (as Pat Buchanan has termed SCOTUS) will soon be undone by moderate political and jurisprudential means? Are we to convene the first Article V Convention since the original Convention of 1787, and not directly address social issues like the abortion holocaust, the assault on the sanctity of marriage, and the scorched earth policy of reducing the public square (including public education) to a secularized spiritual desert? America has risen higher than any nation in history; but in the space of one man’s lifetime it has fallen further and faster than can be explained except as the work of infernal spiritual forces. We cannot expect exclusively secular and relatively mild political and economic reforms like Levin’s amendments to extinguish the diabolical fires conflagrating society. The remedy must match the malady. Nonetheless, Levin is on the right track in seeking to reinforce the written Constitution via the Convention process, thus circumventing the powerful elites controlling Washington, D.C. who have usurped King Constitution’s scepter. The shortcoming is that Levin’s agenda would, if adopted, barely phase the Leviathan he so justifiably loathes. He proposes nothing specific, for example, about attacks on national sovereignty or 2nd Amendment guarantees. And yet to his personal credit, Mr. Levin seems to meet a criterion for the citizen activists described by Professor Crane Brinton in his classic, The Anatomy of Revolution (chapter 2.III). a flaming sense of the immediacy of the ideal, a feeling that there is something in all men better than their present fate, and a conviction that what is, not only ought not, but need not, be. And, one must add, a gut-deep hatred for the way the things are. If the country’s condition continues to worsen – it is hard to see how things could be otherwise under such execrable political leadership as provided by Obama, Biden, Reed, and even Boehner! – then might patriotic citizens like Mr. Levin “disenthrall” themselves (as President Lincoln put it in 1864). The fixation of such reformers upon moderate approaches befits more tranquil times than what apostate America has imposed on us today, and upon our children’s future. In the sequel to this article, I plan to address Mr. Levin’s eleven proposals, point by point. Also, I will compare and contrast them with one Article V Convention agenda in twelve sections. Here my design is not moderate but radical. It is proactive not gradualist. And its overriding aim is to restore America the Beautiful under God and the written Constitution. Next Article How Can I Forgive When I Can’t Forget? I’m glad you undertook this task, Bob. I’ve been listening to Mark on talk shows and Fox news. He has provided us with a certain direction to re-establish the Constitution. I do understand and agree with your concern that it’s too little too late. Yes, the spiritual dimension is missing but he is providing the political solution. Probably someone else should add the spiritual remedy. 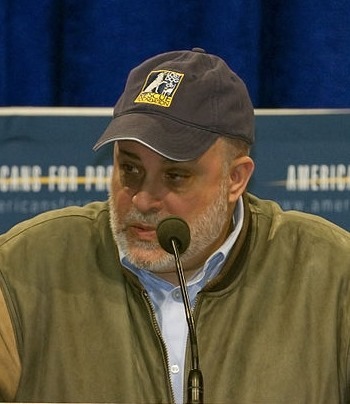 If Mark Levin were to address all the issues it would make his thrust less focused. Furthermore, his book would get no play as we now live in a “dracula” culture. Our society almost instinctively recoils and shows its fangs at the sight of a cross or injection of any sort of religious language. Our spiritual leaders would do well to take a political solution and add the spiritual dimension but that’s not happening so we may be facing the end of the Republic. Goral: What I like most about Levin’s book is how well he states the necessity of an Article V Convention, how he distinguishes between an amending convention and the convention of 1787, and how he refutes the nonsense about a runaway convention trashing the Constitution. Levin gets comments that limiting the terms of our elected officials and the dictators in black robes, will have an unknown, perhaps an unwelcome change; To which he responds: as compared to what? More of this?! Looking forward to your well informed analysis. You are quite right in pointing the underlying deep moral, spiritual and social divide that blocks Levin’s solution. It is is quite evident in the abortion stats. Right now, half the states have 10% of all the abortions while the other half have 90%, Fully 50% are concentrated in just 6 large urban states with heavy minority populations. As a result we are more divided than at any time since the Civil War. We must find a constructive way to confront and heal this divide, or risk splitting the country in half a dozen pieces. Our churches should be our best hope for doing this, but sadly the passivity and indifference of most Christians prevents this. The vast majority have become couch potato Christians armed with a TV controller in one hand and an iphone in the other. I’m still willing to endorse Levin’s approach. It may be our last, best hope for waking America up — but not if our churches remain one, holy, Christian, and half asleep. I read this and shared it. I’m looking forward to more as well. I do wish you had a blog to which I could subscribe. I don’t like Facebook.